This book aims to provide a critical analysis of both political and professional developments in policy and practice relating to non-custodial penalties, taking full account of recent developments and the creation of a National Probation Service in 2002. 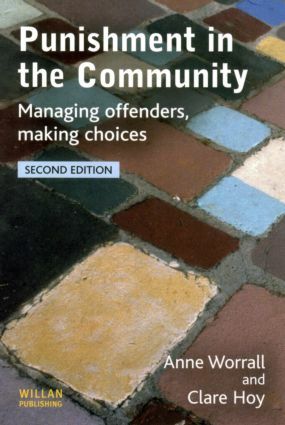 Its aim is to unravel the complex institutional goals (the role of community punishment in the criminal justice system), professional goals (what can be achieved by community punishment) and political goals (the packaging and 'sale' of community punishment to the law-abiding public). The central focus is on principles and politics of community punishment, and on the changing role of the probation service.